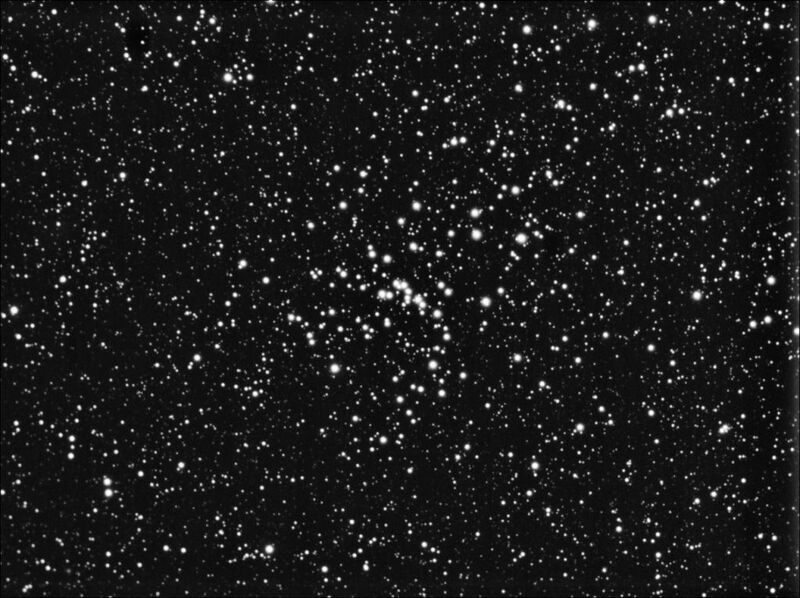 This fine open cluster in the constellation of Hydra has around fifty stars visible through binoculars over an apparent area equivalent to twice that of a full Moon. Charles Messier catalogued this object in 1771 but got its coordinates wrong, and it was not until 1934 that the cluster was "rediscovered". The age of the cluster is estimated to be 300 million years. An image by "Chamois" (the person's pseudonym on the forum) taken with a webcam and a 200 mm diameter telescope with an exposure time of 2 hours 40 minutes.